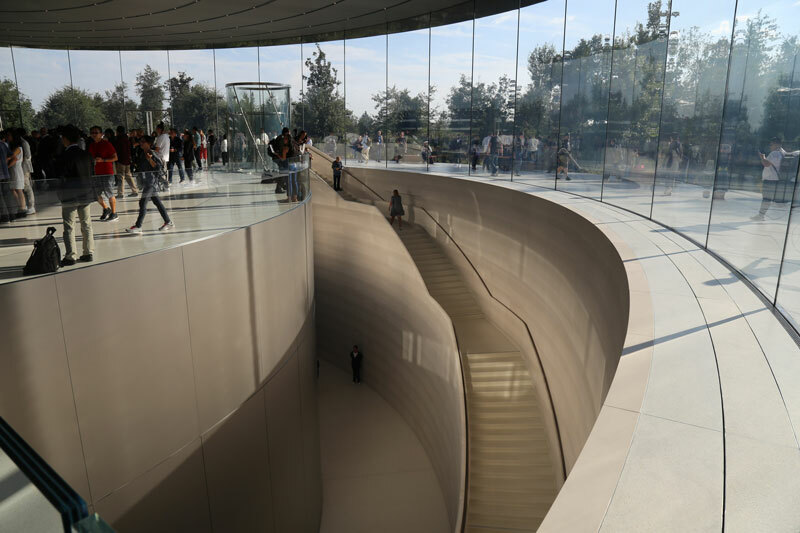 Apple’s Steve Jobs Theater, located on the Apple Park campus and opened last September, recently won the 2018 Structural Artistry award from The Institute of Structural Engineers. The architect behind this is Foster + Partners and the structural designer is Eckersley O’Callaghan & Arup, who are said to have worked in a “close relationship” with Apple. 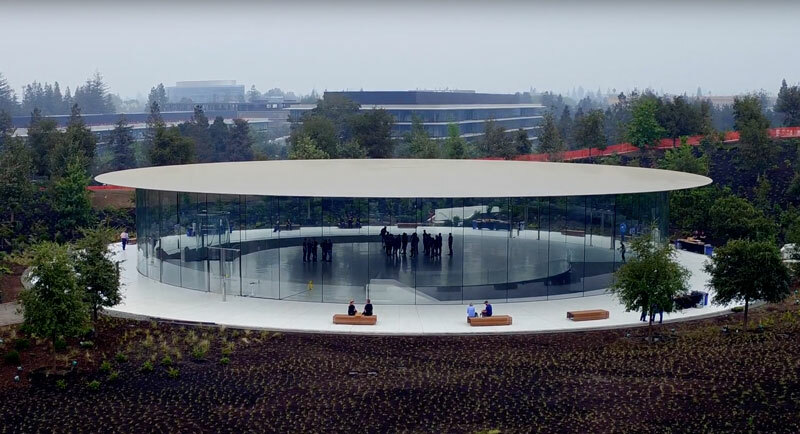 Apple is known to take a hands-on approach to much of its work in architecture. In fact, Steve Jobs himself helped with many of the decisions for Apple Park, even though he died in 2011 before construction could start. All-glass surfaces in particular seem to have become a recurring theme or Apple. 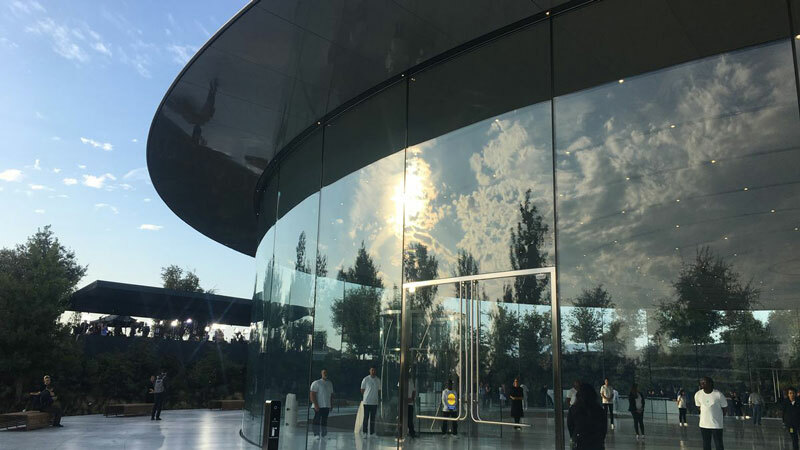 The main ring at Apple Park is wrapped in curved-glass windows, and even uses floor-to-ceiling glass in its interior office space. Its also the same with their retail stores, which have an all-glass style. 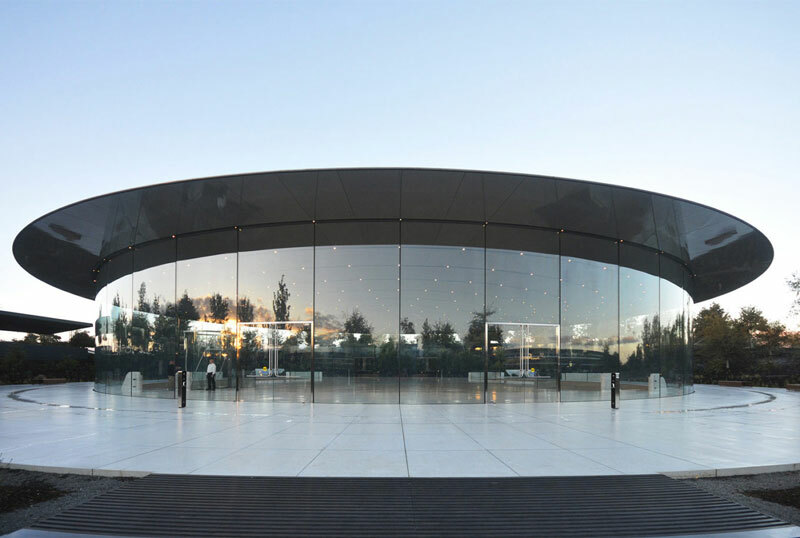 The Steve Jobs Theater received recognition for being the largest structure in the world solely supported by glass, and for the way in which pipes and other systems have been integrated into its roof. It features a 47m carbon fibre roof, the largest of its kind, comprised of 44 radial panels, which were assembled on site before being raised into position in one lift. This 80 tonne roof is supported by a 7m high glass cylinder, made up of glass panels, each consisting of four layers of 12mm thick plies, which hold up the roof without any additional support. 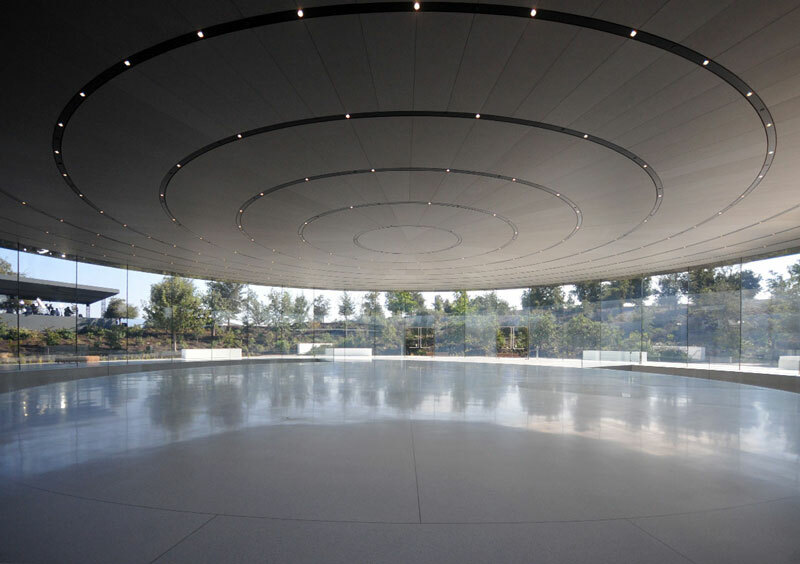 The Steve Jobs Theater was built specifically for Apple events. It’s where the company introduced us to “the future of smartphone design” with the iPhone X last fall. Its underground auditorium holds 1,000 seats, which makes it larger than any venue that Apple has previously used. In choosing an award winner, the Institute of Structural Engineers considers five factors: excellence, creativity and innovation, elegance and detailing, sustainability, and value. However, he Structural Artistry award was given to the Theater for being a “project in which what could otherwise have been an adequate and worthy solution has been transformed by the vision and skill of the structural engineer into something exceptional”, as the institute explained. In other words, it avoided the ordinary. Next articleLuxury Living Rooms: TOP 15 Designs That Will Amaze You!